Similar to the traditional wreath but more filled in and with a bit of height. Suitable for a crematorium or cemetery and for all age groups. 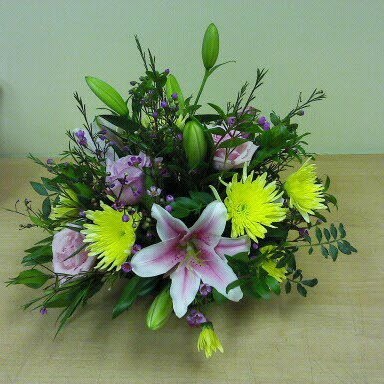 This fresh flower open posy is available in different sizes and colours. Made using seasonal flowers in oasis. This will allow it to stay fresher longer.